Akeel has been recognized as a Top 100 Trial Lawyer by the American Trial Lawyers Association (ATLA), a Lawyer of the Year by the Michigan Lawyers Weekly, and a Super lawyer for 13 consecutive years in areas of civil rights, in addition to being nationally recognized by US News & World News Report as a Tier One Civil Rights lawyer. Akeel has been involved in several high profile age and race employment class action discrimination cases. Akeel has, also, prosecuted several high profile False Claims Act (Qui Tam) suits representing whistleblowers who reported fraudulent conduct against the United States. Akeel has managed to obtain million dollar verdicts and settlements for his clients both in federal and state courts. Akeel, has, also been involved in several noteworthy class action lawsuits challenging the no-fly list, and interrogation procedures at the border and abroad. Akeel has, also, taken his work internationally in filing human rights class action lawsuits against corporate profiteers like Blackwater on behalf of victims, who were tortured in Abu Gharib, and elsewhere. Akeel has managed to obtain settlements and justice for many victims through litigation, and the art of mediation. Akeel obtained his Bachelors Degree from the University of Michigan, graduated from Detroit College of Law in 1996 (which merged with Michigan State University). Akeel, also, has a CPA, and a Masters in Business Administration from Wayne State University. 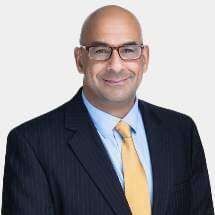 Currently, Akeel specializes in employment law, civil rights, and personal injury.